Well, I'm not sure about you, but It did come as a surprise to me how many School Supplies you could grab at Staples for UNDER $10. You can respectfully go back to school equipped with a nice little arsenal to tackle your basic needs. 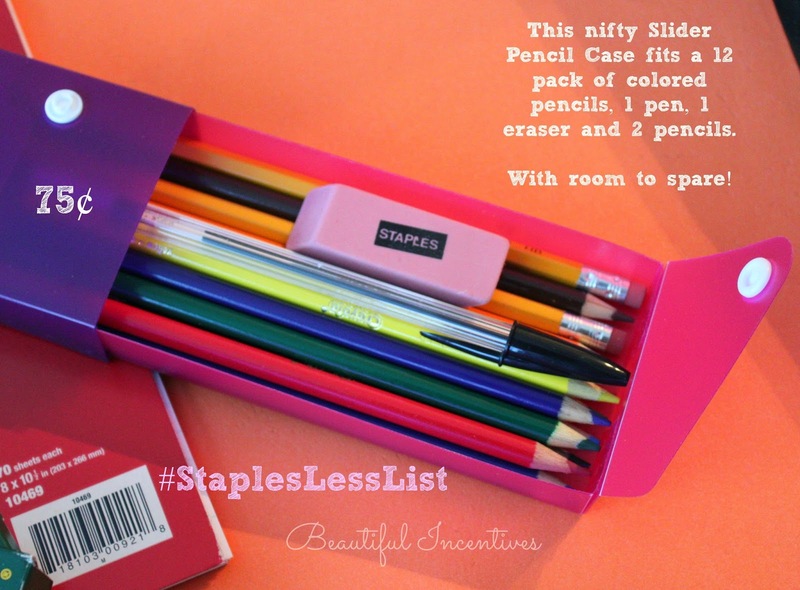 Everything in the Staples Less List is $1 or less, and MOST things are much less. 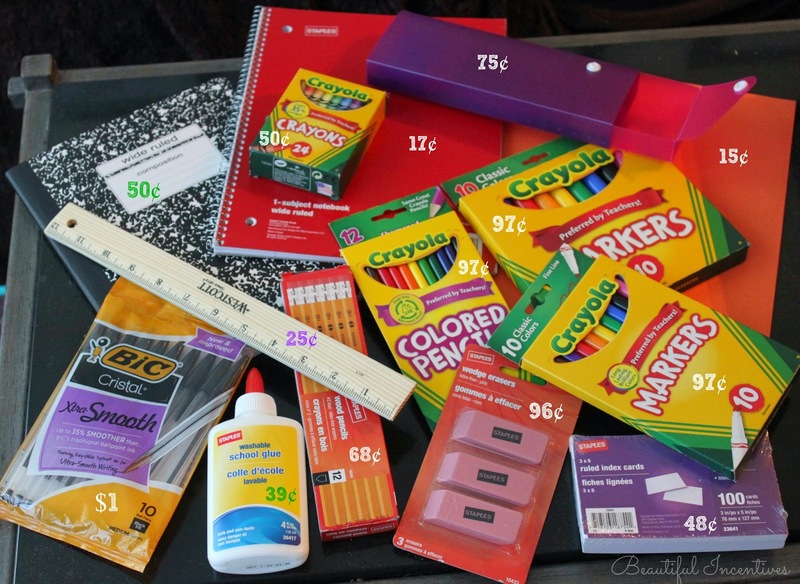 Markers, crayons, rulers, composition books, glue, holders...yup, all 15 cents and up. I do love the dollar store, don't get me wrong, but why go there when you can get all your basics at Staples for even cheaper? Also, the quality is much better! These supplies are all your classic tried and a true things we have been using for a long time. Take a gander at all the supplies I got for LESS than $10. So there's more you can get in addition to what you see pictured. You or your child will not be missing anything their first day, if they keep to this basic list. To put this into perspective, everything totaled $8.74! Staples 1 subject notebook 8" x 10-1/2"
Staples Composition Book Wide rule Assorted colors 9-3/4" x 7-12"
This was just a preview of what you can get. There is so much more, such as Crayola sketchbooks for $1. You don't need to stress when looking for the basic needs. They can be met for incredibly cheap. If you have already done most of your Back to School Shopping, this is perfect for back ups and next year! Also, they are great for crafting needs at home! The best part about Staples? 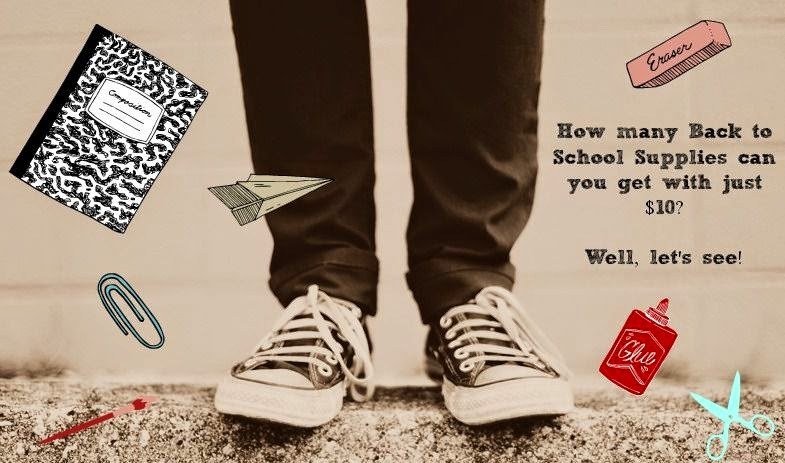 They offer a Back to School 110 % price match guarantee, which means customers will receive an additional 10% off the difference between the Staples price and the competitor price! This includes Amazon prices!! In addition to the awesome prices, Staples wants to give 5 lucky people a $25 Staples Gift Card to cover their Back to School shopping needs! I love the index cards for 48 cents. Right? I used to buy the same amount at the dollar store!